AWI’s Henry Ridge explains wool production to Chinese delegates. Image – AWI. China is Australia’s largest customer, buying about 80 percent of Australia’s wool, with the majority of the products made consumed by affluent Chinese consumers. In a series of special initiatives throughout the year, The Woolmark Company is marking more than half a century of a cross-cultural partnership between Australia and China – spanning the wool trade through to design creativity. Australian Wool Innovation said Australia now exported 271 million kilograms of natural, renewable and biodegradable wool to China annually, a sharp rise from pre-1980 when this figure stood at less than 10 million kilograms. Once predominately a manufacturing hub, China in recent years has also fast become a large consumer of luxury apparel, AWI said. The Chinese textile and apparel market is worth $2.76 billion and is part of China’s transformation into a global powerhouse following its decision to open up to the international economy. With 1.4 billion people driving a new consumer culture and an economy growing at more than 7pc per year, the country has a vast appetite and passion for Australian Merino wool and its deeply committed relationship with Australian wool growers, AWI said. AWI said a delegation of Chinese media, industry and influencers visited Australia in May, to experience the origin of the fibre and celebrate the special bond between the two countries. 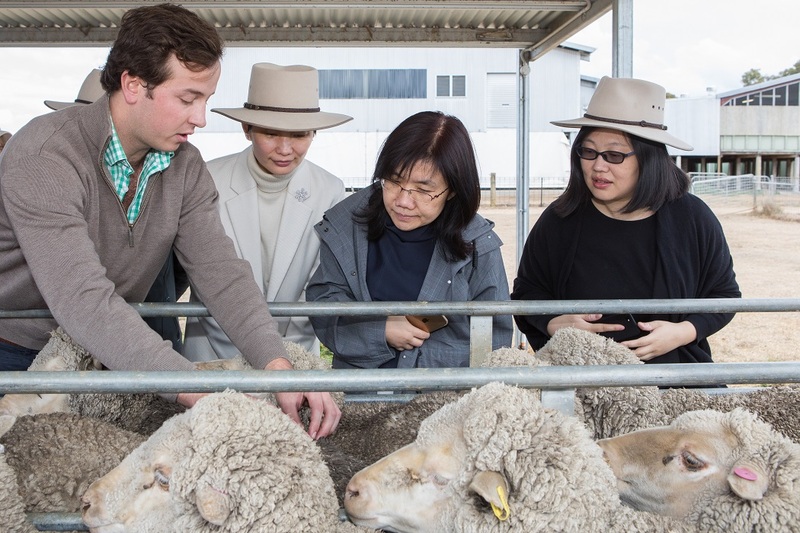 Through hosting delegations like these to Australia, The Woolmark Company and Australian Wool Innovation aim to expose emerging consumer markets to Australian wool and broaden consumer choice in innovative wool garments, AWI said. In addition, a commemorative book sharing personal stories from industry stalwarts and those shaping its future has been produced. To read the personal stories of key identities who contributed to the establishment of Australia’s wool trade to China and the major players in the Chinese textile and manufacturing industry, click on this link. AWI chief executive officer Stuart McCullough said China continues to remain the single most important buyer of Australian wool, with close to 80pc of our fibre exported there. “I first started travelling to China as a wool trader in the late-1980s and was convinced from an early stage that the Australian wool industry was going to significantly benefit from the processing capacity of China. “What evolved across the next 30 years exceeded any expectation I had in those early days and China has become not only a processing powerhouse, but a consumption giant – the likes of which we will never see again,” he said. “The domestic consumption of our fibre is now being driven by the emergence of great affluence in China, which will continue to grow. “Not only have we the perfect processing partner on our doorstep, but we also have the perfect consumption partner,” Mr McCullough said. AWI said with increased affluence and a tendency towards leading healthier lifestyles, discerning Chinese consumers are now favouring natural, long-lasting garments, more so than following the latest trends perpetuated by fast fashion. As a premium and luxurious natural fibre, Australian Merino wool is therefore one of the most coveted fibres in high fashion in China, AWI said.